A Roth IRA is one of the best retirement accounts available to taxpayers. A Roth IRA is essentially a Congress-created and IRS-sanctioned tax shelter! Once a person puts money into a Roth IRA, neither income or growth on the money will ever be taxed again…as long as the proscribed rules are followed. One of those rules, the so-called “Five-Year Rule,” is why you should open a Roth IRA as soon as possible. Just like most things tax related, a Roth IRA has numerous exceptions, rules, and restrictions. The five-year rule is unique to Roth type accounts, such as a Roth IRAs, 401(k)s, 403(b)s, etc. It is also one of the easiest rules to meet as long as you, an informed taxpayer, open a Roth IRA as early as you can. The rule essentially states that a Roth IRA cannot have qualified (meaning tax-free) distributions unless it was first contributed to at least five tax years prior to the distribution. The majority of the time this is not a problem, but it can become a problem for someone who is doing tax planning with a Roth close to retirement or needs to take withdrawals due to a disability. All you need to do to make sure you don’t run afoul of this rule is open and contribute to a Roth IRA as soon as possible! What if I make too Much Money to Contribute to a Roth IRA? Roth IRA’s have adjusted gross income limits. Once a person or married couple have a high enough income, they can’t contribute to a Roth IRA. If they never contributed to a Roth IRA before hitting the AGI limit, they may think it’s too late. I’m happy to say it isn’t too late for them to start a Roth IRA, all they need is a Traditional IRA or Rollover IRA. They can simply open a Roth IRA and make a “conversion” of some of the money in the Traditional or Rollover IRA. A conversion is a specific process where IRA assets are moved to a Roth IRA and the transaction is taxed as ordinary income. Since taxpayers who can’t contribute to a Roth IRA have higher than average income and taxes, they should be careful how much they convert to a Roth IRA. As far as the five-year rule is concerned, it is acceptable to convert as little as $10 to a Roth IRA. If the taxpayer doesn’t have a Traditional or Rollover IRA, they can make a non-deductible IRA contribution and then convert that to a Roth IRA. There is not an income limitation to non-deductible IRA contributions. 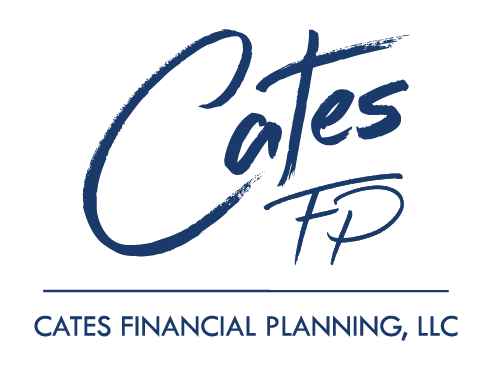 An employer plan that offers Roth accounts will also have a five-year rule, but the five-year rule is for the account itself and not the money in the account. That means that if a taxpayer retires or is disabled, the Roth 401(k) must have been open for five years. 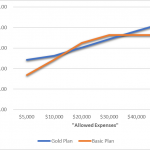 If they open a Roth IRA and transfer the Roth 401(k) into the Roth IRA, the Roth IRA has a whole new five-year rule that must be met. On the flip side, if a Roth IRA has met the five-year rule, but the Roth 401(k) has not, the 401(k) can be transferred to the IRA. Once transferred to the Roth IRA all of the money is deemed to have met the five-year rule, even the transferred money from the Roth 401(k). Just get the Roth IRA opened as early as possible and you won’t have to worry about the five-year rule once the Roth IRA meets the requirement. 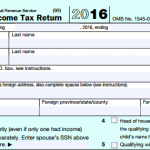 What Does the IRS Consider Five-Years? For purposes of meeting the five-year rule, Roth IRAs and other Roth accounts are treated differently. For a Roth IRA, a year is considered the tax year the first contribution is made. It is important to understand what a tax year is. A taxpayer has until April 15th to make a Roth IRA or Traditional IRA contribution for the prior tax year. So, if on April 10, 2017, you make a contribution to a Roth IRA for tax year 2016, the IRS considers 2016 to be the first of the five years. This can actually allow someone to get a jump start on the five-year rule by making a prior-year contribution. On the other hand, it is not possible to make a prior-year contribution to a 401(k), 403(b), 457, TSP, etc. If instead of making a Roth IRA contribution on April 10, 2017, you contributed to a Roth 401(k), your first of the five years would be 2017. An April 10, 2017 contribution to a Roth 401(k) would be considered made on January 1, 2017. The five-year rule only has to be met one time for a Roth IRA and the time starts with the very first contribution. If you have multiple Roth 401(k)s from different employers, each must meet its own five year rule. The simple thing to do is open a Roth IRA early and then consolidate the Roth 401(k)s into the original Roth IRA when changing jobs. This discussion only involved one rule for a Roth IRA, the five-year rule. There are additional criteria that must be met in order to obtain tax-free and/or penalty-free withdrawals from a Roth IRA. As you always see at every investment website or advertisement, consult your tax advisor (me! ).